>When I moved my mother from one nursing home to another a week ago (down in Jackson, Mississippi) more than one person asked me why I didn’t move her to Memphis, where I live. See, Mom has lived in Jackson, Mississippi for 60 years. She and my dad were among the founding members of Covenant Presbyterian Church back in around 1959, and people from Covenant still visit her—whether she’s in assisted living or a nursing home. And even people she no longer recognizes (a quickly growing number) elicit a smile when they remind her of their connection in the past. My peers who live in Jackson and visit their parents at the nursing home speak to her and say they are friends of Susan’s and that means a lot. And I really like the people at the nursing home—all of them. But today was one of those days that challenged my decision. I took Mom back to the orthopedic surgeon who put pins in her fractured hip on October 7, and now the bones have shifted and he’s going to do a partial hip replacement… next Tuesday. Two days before Thanksgiving. The good news is she’ll be up and walking soon afterwards (and yes yes yes I wish they had done the partial hip to begin with, but I’m trying to let go of things in the past I can’t fix!) Evidently, 85% of non-displaced fractures like Mom’s heal with the pins, but I’m not sure the surgeon understood he was operating on a woman with Alzheimer’s who could not remember not to put any weight on her foot for a month. She probably displaced the fracture accidentally since then, although I hired 24/7 sitters for a month to try and prevent that. She just can’t remember her hip is broken, even for five minutes. So, I went through the mental gymnastics: if Mom had been living in Memphis when she broke her hip, could I have gone to the hospital with her and told the doctor to do the partial and not the pins? No—I was in Seagrove Beach, Florida when she broke her hip, and couldn’t get to Jackson in time for the surgery, and couldn’t have made it back to Memphis for sure. I just can’t be totally available every minute of every day. So, next week I’ll be driving to Jackson for the surgery, not from Memphis, but from Fairhope, Alabama, where I’ll be at “Southern Writers Reading,” from Friday through Monday. Five friends from our Oxford writing group have rented a B&B on the Mobile Bay for the weekend. It should be an awesome weekend… if I can quit worrying about my mother while I’m there! And then the day after the surgery I’ll leave her in the hands of the wonderful “Comfort Keepers” (24/7 sitters) while I return to Memphis to prepare Thanksgiving for my husband and our daughter, who’s coming home from UT Knoxville (grad school) for the holiday. Mom will return to the nursing home, probably the day after Thanksgiving, and I’ll head back down to see her the following week. My comfort level made some huge leaps today when I met Mom’s physical therapist, Marzelle. Like my favorite sitter from Comfort Keepers (Sondra, pictured here with Mom), Marzelle is from South Africa. (I think these are the only two people I’ve ever met from South Africa, and both end up as my mother’s caregivers.) She went with Mom and me to Mom’s appointment with the surgeon today, to talk with him first hand about her therapy when she returns to the nursing home. It made such a difference to have her with us. She is kind and compassionate and personable and everything you’d want someone to be if they are helping your mother learn to walk again. She’ll be waiting for Mom’s return to the nursing home after the surgery…. Ready to hold her hand and gently coach her through recovery. 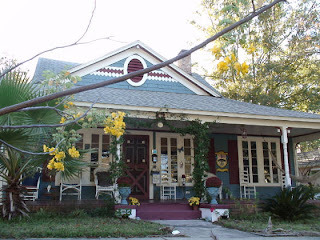 So… on to Fairhope … and one of the authors who will be reading is Carolyn Jourdan, who won a fellowship at Writer in Residence at the Fairhope Residence for the Writing Arts. I picked up her book, Heart in the Right Place at a wonderful little bookstore in Knoxville, Tennessee, when I went to visit my daughter this fall. I just started reading the book tonight and I can’t put it down! 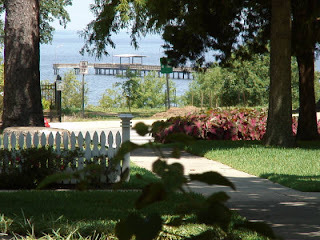 I’m looking forward to meeting Carolyn in Fairhope this weekend. If you’re not familiar with it, Southern Writers Reading is the brainchild of writer Sonny Brewer. This year’s event will host quite a few authors, both on stage and in the audience. The “after event” parties are a big part of the draw…offering the opportunity to network with successful writers and just enjoy one another’s company. 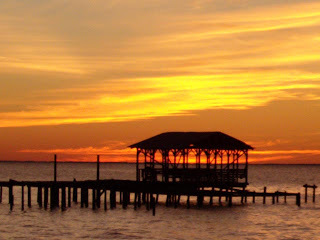 And yes, I’m always hoping for a beautiful sunset, like this one, on the Mobile Bay at Fairhope. 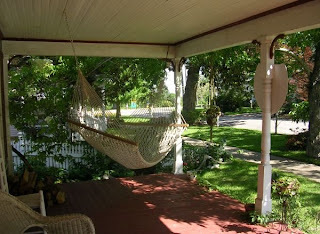 Maybe I’ll post from there over the weekend… I don’t know if our B&B, the Bayside Guest House, has internet or not…. we’ll see. and this amazing view of the bay…. ahhhh… I can feel the breeze now….